Explore Silk Road with us! K2 (also known as Savage Mountain, Mountaineer’s Mountain, Mount Godwin-Austen, Balti: Chogori and Sarikoli: Mount Qogir) is the second-highest mountain on Earth, after Mount Everest. With a peak elevation of 8,611 m (28,251 feet), K2 is part of the Karakoram Range, and is located on the border between Baltistan, in Gilgit-Baltistan of Pakistan-administered Kashmir and the Taxkorgan Tajik Autonomous County of Xinjiang, China. 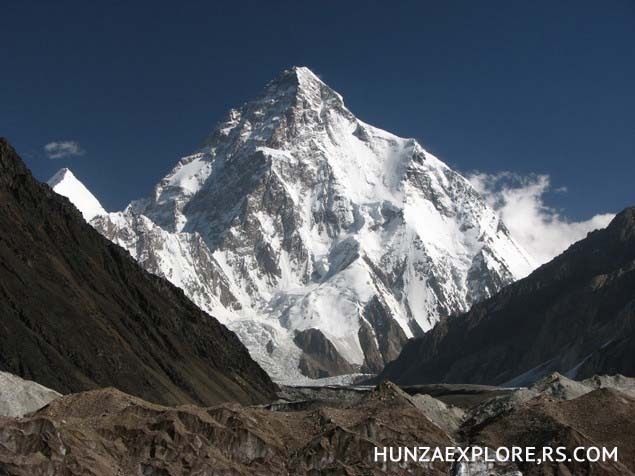 It is more hazardous to reach K2 from the Chinese side thus; it is mostly climbed from the Pakistani side. 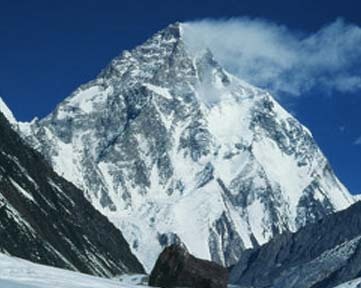 K2 is known as the Savage Mountain due to the difficulty of ascent and the second-highest fatality rate among the “eight thousanders” for those who climb it. For every four people who have reached the summit, one has died trying. Unlike Annapurna, the mountain with the highest fatality rate, K2 has never been climbed in winter.